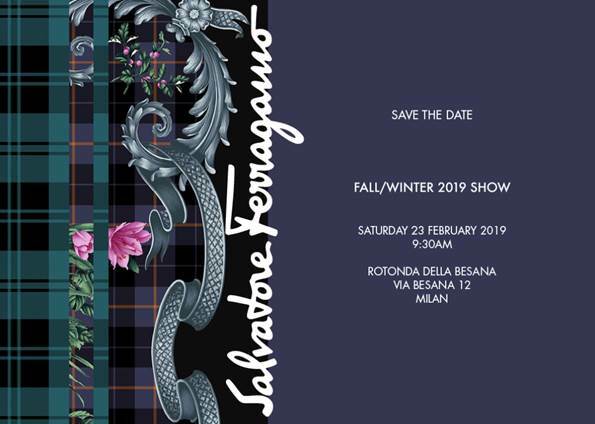 MILAN Fashion Week continues the party, as Ferragamo is taking centre stage with the upcoming Salvatore Ferragamo FW19 show, happening on February 23rd, at 9:30AM CET (that is February 23rd, Saturday at 4:30PM SGT) in Milan. Besides the ongoing conversation of redefining menswear codes, another concept gaining traction is the running of co-ed shows. Presenting both men’s and women’s collections together in Milan Fashion Week isn’t news though, having seen the Gucci, Coach and Burberry shows from this season. However, since Ferragamo’s FW18 collection, critics have had things to say about menswear designer Guillaume Meilland’s robust design chemistry with womenswear designer, Paul Andrews. It becomes relevant to ask once again, if menswear designs are polar opposites of the female counterpart, or rather just different points on the same spectrum. Whether our burning queries will be answered or not depends on what direction Meilland decides to lead the Italian luxury house with this upcoming Salvatore Ferragamo FW19 show.